Lindsey Vonn is BACK, baby. We haven’t seen her in the winter games since the Vancouver Olympics in 2010. Why? Because of skiing injuries. Vonn suffered a season-ending ACL tear just before the 2014 Olympics in Sochi and had to withdraw from the games. But she’s prepared to give it her all this year at the 2018 Olympics in PyeongChang. Fingers crossed for no news of a Lindsey Vonn injury this time around. Many think that this will be Lindsey Vonn’s year. The skier is competing in the downhill, super-G, and combined event. Vonn comes to the 2018 Olympics ready to overcome her past injuries. And this time, she has an extra personal reason to fight: She wants to make her late grandfather proud. Lindsey Vonn’s grandfather passed away just a few months ago in November of 2017. The two were incredibly close; he’s the person who taught her how to ski. And she’s feeling more inspired than ever to bring home the gold in his memory. Lindsey Vonn’s rough road to PyeongChang is inspiring. In a recent Under Armour commercial, she embraced her injuries, highlighting how they made her the athlete she is today. Vonn recited the words of poet Safia Eihillo. “I was hurt & did not end/& now I am endless/my body breaks/& it breaks/& I do not,” she says. As we prepare to watch Vonn fly down the slopes, here’s a look back at the skier’s injury history, including THE Lindsey Vonn injury that kept her out of the 2014 Olympics in Sochi. The 2006 Olympics: A bruised hip. During the 2006 Olympics in Turin, Vonn’s first, she crashed during a training run. She had to be airlifted off the mountain. She bruised her hip but was still able to compete, ultimately coming in 8th place. The 2007 World Championships: An ACL sprain. Another training run crash took Vonn down during the 2007 World Championships, this time during a slalom run. She sprained her ACL and her season officially ended there. Luckily, she picked up a few silver medals before crashing. The 2009 World Championships: A cut tendon. In an act of celebration that had nothing to do with skiing, Lindsey Vonn accidentally sliced open her thumb on a broken champagne bottle. She cut her tendon and had to get surgery, but was still able to ski. The 2009-10 World Cup: Microfractures in her forearm. Vonn crashed again right before the 2010 Olympics in Vancouver. She was diagnosed with swelling and microfractures in her forearm but continued to ski through the pain. The 2010 Olympics: A broken pinkie. Vonn skied through a lot of pain during the 2010 Olympic games in Vancouver. She came to the games with a bruised right shin and crashed again, breaking her right pinkie finger. But it wasn’t all bad: Vonn still brought home Olympic gold in the downhill and bronze in the super-G. The 2011 World Championships: A concussion. Another training crash, another injury. This time, a concussion. Vonn decided to compete anyway and ultimately placed 2nd in the downhill and 7th in the super-G. The 2013 World Championships: More tears and fractures. This is when her injuries started to get serious. Vonn crashed so hard in a race that she had to be airlifted off the mountain. She was diagnosed with ligament tears in her knee and a fractured tibial plateau. She had to get surgery, and her season ended. The 2013-14 World Cup: The ACL tear. This brings us to the worst Lindsey Vonn injury: the heartbreaking ACL tear. While still recovering from her knee surgery, Vonn crashed and tore her ACL. She compounded the injury by skiing on it and had to withdraw from the 2014 Olympics in Soci completely. It would be nearly a year until she competed again. The 2015-16 World Cup: Even more fractures. This time, multiple crashes led to multiple fractures. During the season, Vonn fractured her ankle and suffered multiple fractures in her knee. She was forced to end her season early yet again, a fact made even more heartbreaking considering how well she had been doing in competition. 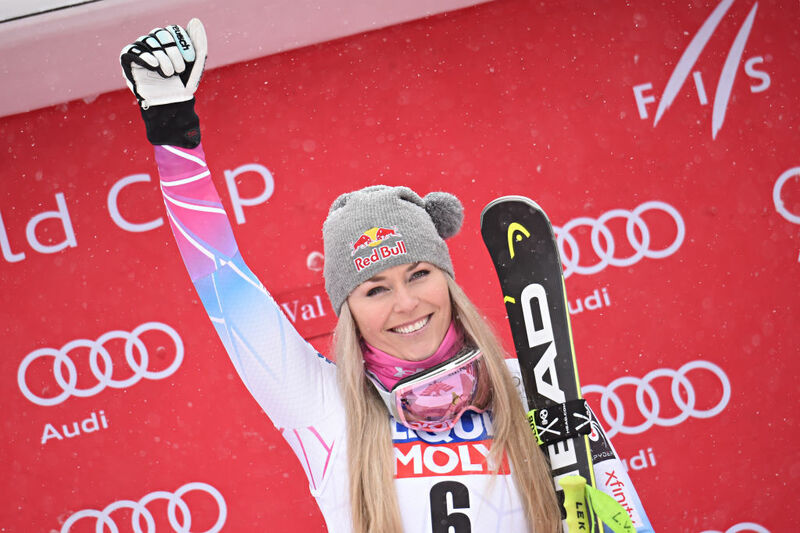 When Vonn dropped out, she was leading the World Cup overall standings, just eight more races from her shot at bringing home a 5th World Cup overall title. The 2016-17 World Cup: Yet another fracture. She fractured her humerus bone in her right arm and required surgery. The 2017-18 World Cup: A back injury. Most recently, in December of 2017, Vonn suffered an acute facet dysfunction. Basically, she really hurt her back. That brings us to the 2018 Olympics in PyeongChang. And all we can say is: Be careful, Lindsey! We hope you have a happy, healthy, and injury-free Olympics. Good luck out there!